Zorro is a beautiful black recently neutered male piggy at around 1.5 years old. He was previously mixed with another male piggy, however unfortunately had to be split due to arguments. 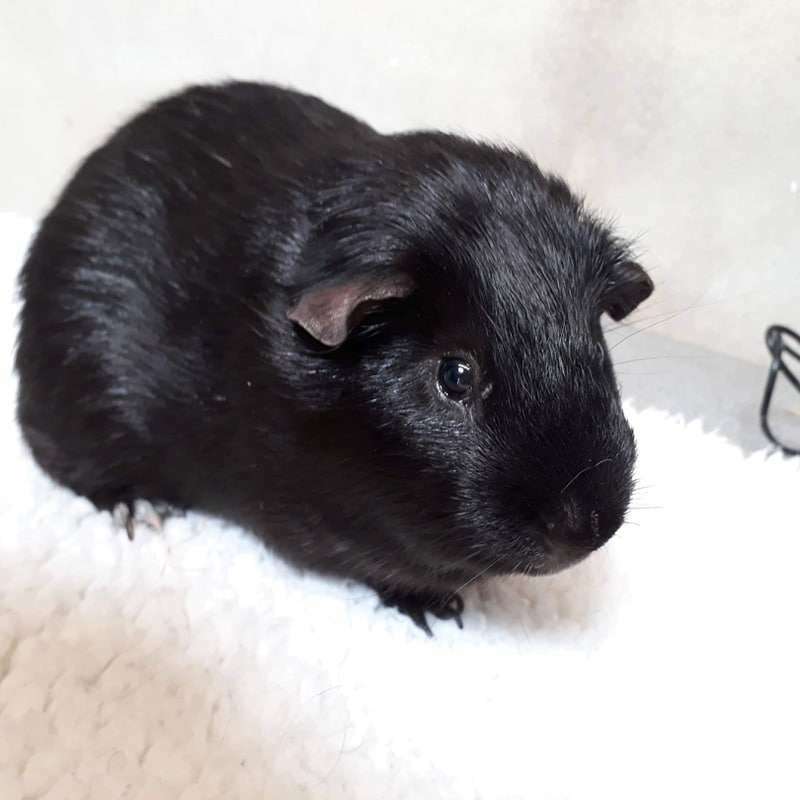 Zorro is a sweet boy who is looking for a lady pig as a companion. He can be a little nervous with being handled, however he is slowly starting to get used to the health check routine and coming out for some pets. He will need a family happy to continue bringing him out of his shell slowly. He loves his tasty greens, and enjoys munching his hay. If you feel you could offer Zorro a forever home, please call up to the sanctuary, speak to the staff and fill out an application form! !